The bottom line about search engine optimization is: they are going to suggest the websites they think are going to be the most helpful to people. This may be painfully obvious, but there are many myths about being able to trick search engines into giving certain websites an unfair advantage. There are some ways to temporarily fool search engines, but they often lead to your website being blocked or penalized before long. This page briefly outlines some things you can do to your website to help search results the right way. Showing up as the first result is the effect of having a popular site, not the cause. Search engines need to be able to read text on your website to determine what your site is about. If you’re a photographer and have only photos with no words on your pages, don’t expect to show up in search results for phrases that can’t be found anywhere on your site. Create an “About Me” page. Maybe include some details about how to contact you, and you could possibly mention your location. All these things are useful to your visitors, and consequently useful to search engines. It’s also useful to add titles and descriptions to photos in your galleries. It’s very difficult for search engines to tell what a photo is about without an accompanying description. Including a blog on your website is an excellent way to provide useful content.  22Slides integrates with Tumblr, to make adding a blog to your site easy. Here’s our guide to adding a blog. Search engines gather keywords for your site from the actual content, site address, page titles, and from the words that other websites use when linking to your website. So if you’d like your site to show up in search results for the phrase “Los Angeles Photographer”, it’d be great to use that phrase in an “About Me” page, in the title of your website, maybe even the domain name of your site if it’s not too awkward. As a general rule, you don’t want your keywords to overtake your content. You want your website to be convenient and useful to real people. That’swho your website is for, not search engines. Search engines are very smart and can usually tell if you’re overdoing the keyword thing, like typing “Los Angeles Photographer” over and over. Every time a website links to your website, search engines see that as a “vote” for your website being useful. The other website thought your site could help its visitors so much, that it decided to send them your way. The bigger and more popular the referring site, the more valuable the “vote”. This is likely to be the most effective method of search engine optimization, since it’s the hardest to fake, and also allows you to leverage the popularity of other websites. The actual text that the referring websites use when linking to your website is very important too, because search engines will use that text to associate keywords to your site. Also, getting other websites to link to yours will get your website to show up in search results much faster, since search engines will follow the link from existing sites to find yours. If you don’t have any websites linking to yours, it’s possible you could never show up in search engine results. Providing fresh content in a periodic manner is also very helpful, and blogs are a perfect way of doing that. 22Slides seamlessly integrates with http://tumblr.com (More info on setting up a Tumblr blog here) which is one of the top blogging platforms out there. Tumblr also has a built-in community that automatically shares your content with tons of people within its network, getting you more exposure than you would with a WordPress or similar blog. Go to http://google.com/placesforbusiness and create a profile for your business. This will allow your business to show up in the local search results at the top of the page. Creating this profile is actually the only thing some SEO marketing companies do for clients, yet the charge them hundred or thousands of dollars to do it. It’s also very beneficial to ask your customers to review your business on Google Places, but don’t solicit fake reviews. Google’s often smart enough to tell the difference and will penalize you for fake reviews. Creating profiles on other similar sites like http://yelp.com would be useful too. Get people to your website. Make flyers with your website, buy ads, run promotions, have a contest, make a Facebook page, Twitter page, LinkedIn page, anything to get people to visit your website. The number of visitors a site has is important to search engine rankings. If there were two identical websites that wanted to show up when people search for “Los Angeles Photographer”, and one got 1,000 people per day while the other only got 2, the more popular website will win. The keyword meta tag is no longer used by search engines. Keywords are now gathered from the actual content, url, page titles, and links that point to your site. Your website’s description has no impact on search results. It’s strictly for people to read when viewing your site in search results and other listings. Don’t buy “back links”. Getting other sites to link to your site is extremely valuable, but if search engines find out that you’ve purchased these links in bulk, you’re likely to be penalized. Linking to your site from Facebook, Twitter, or internet message boards is not very valuable for increasing your search engine placement, though it can be useful for getting search engines to find and index your site initially. Links from articles in online magazines, advertisements, and people legitimately writing about your website are much more valuable as they're written by a neutral 3rd party. Don’t use “keyword clouds”, or jumbled up paragraphs of key words. Your content should be written for real visitors, not search engines.